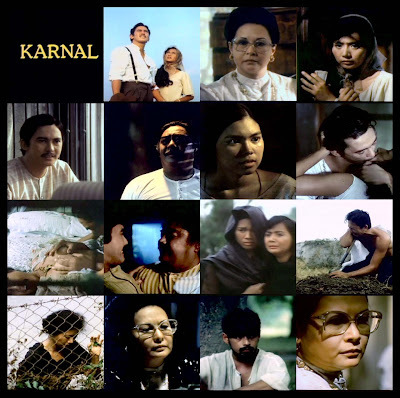 Movie stills from 1983 FAMAS Best Picture "Karnal". 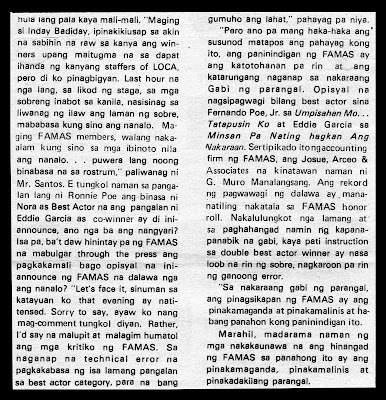 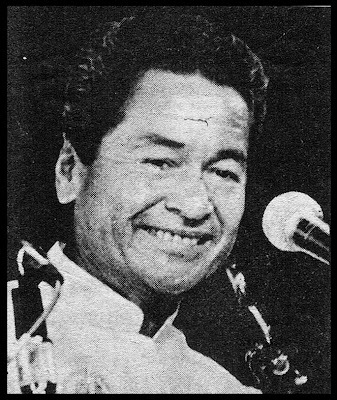 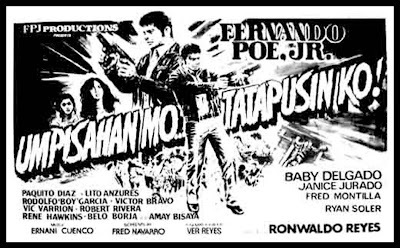 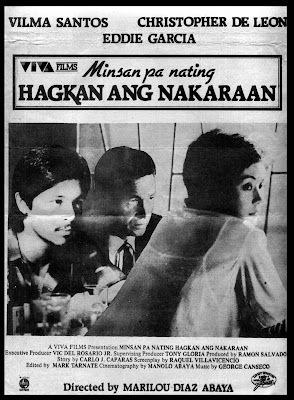 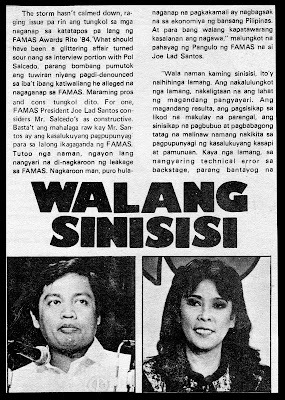 1983 FAMAS Best Actor Award to Fernando Poe, Jr. for "Umpisahan Mo, Tatapusin Ko"
1983 FAMAS Best Actor Award to Eddie Garcia for "Minsan Pa Nating Hagkan Ang Nakaraan". 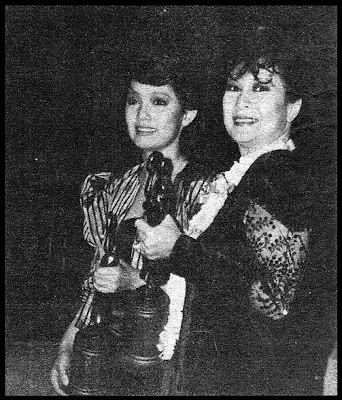 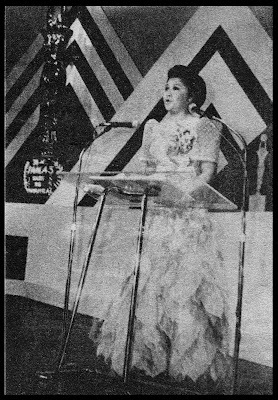 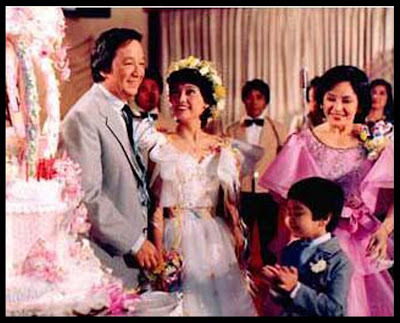 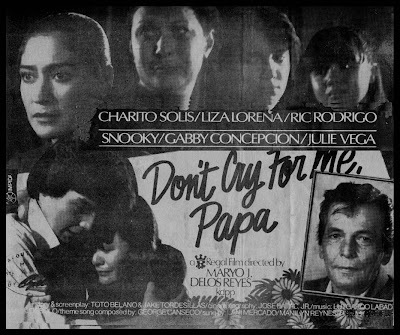 1983 FAMAS Best Actress Award to Charito Solis for "Don't Cry For Me, Papa". 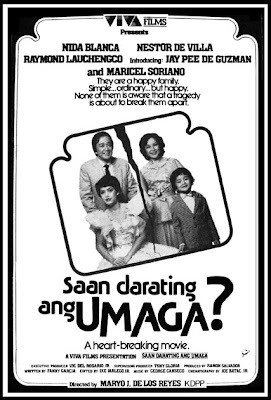 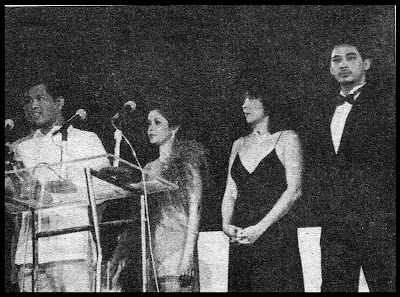 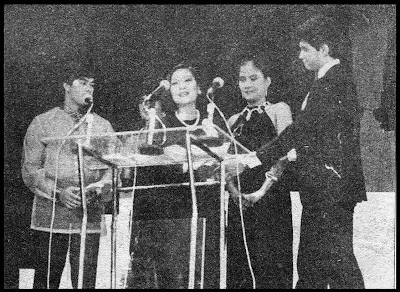 1983 FAMAS Best Supporting Actress Award to Maricel Soriano for "Saan Darating Ang Umaga?" 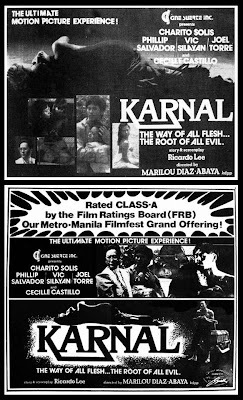 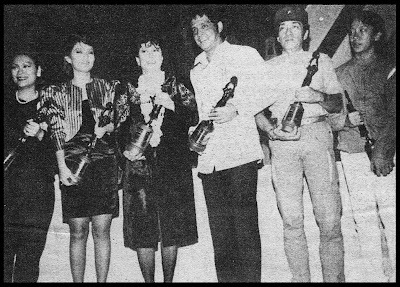 1983 FAMAS Best Director Award to Marilou Diaz-Abaya for "Karnal". 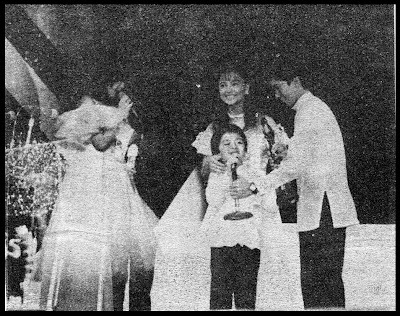 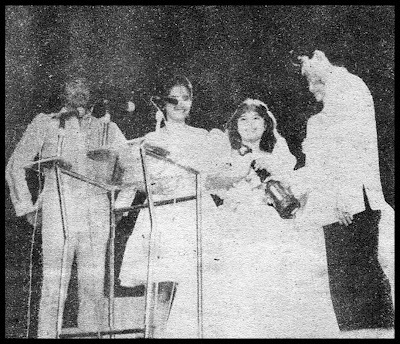 1983 FAMAS Best Child Actress to Manilyn Reynes for "Minsan May Isang Ina". 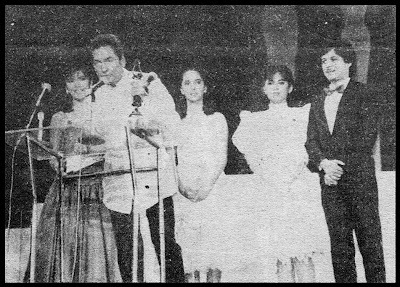 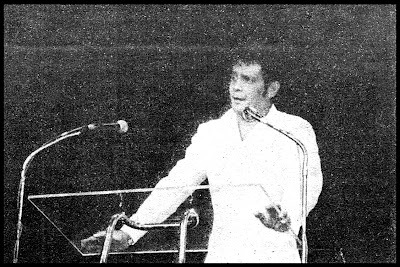 The 1983 FAMAS Lifetime Achievement Award was given to Ben Perez. 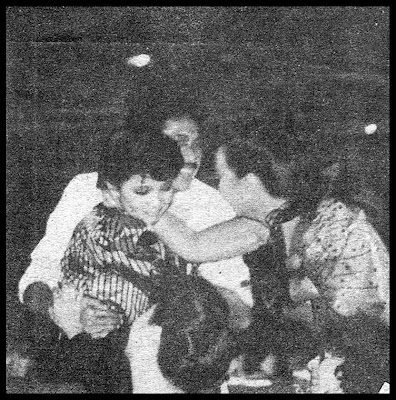 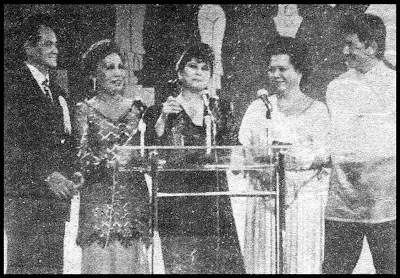 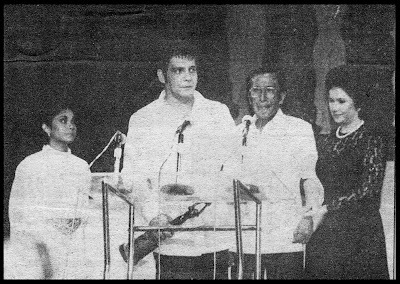 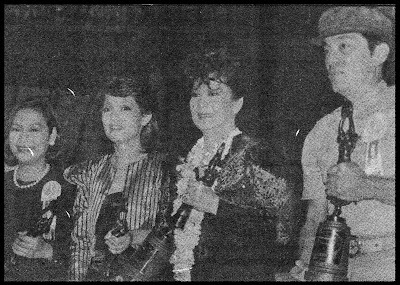 In this photo, with Nora Aunor, Fernando Poe, Jr. and Susan Roces. 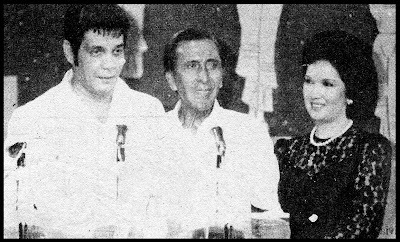 Fernando Poe, Jr., Ben Perez and Susan Roces.